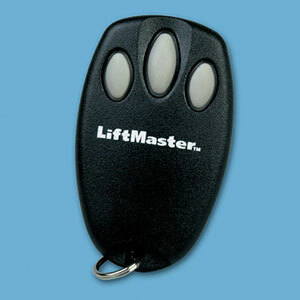 Welcome to Garage Door Repair Fresno, where you can expect the best garage door remote clicker service in the city. It is hard to imagine someone with an automatic garage door opener not wanting a garage door remote to easily open and close the door from the comfort of his vehicle. Who has not pulled up to a garage door in the pouring rain with shopping bags just waiting to be carried in the home? Most of us have been in that situation at one time or another and the garage door remote can save the day by allowing you to enter the garage without getting all wet. Our Fresno Garage Door Remote Clicker Service is designed to make sure our customers get the remote installation, repair and replacement they need, so they will never find themselves in that unfortunate position. Our world class company makes sure to work in an efficient and effective manner. The moment you call up our hotline and request for help from any of our friendly customer service personnel, we will be asking detailed questions so we can correctly identify your problem. Once we have streamlined the issues you have with your garage doors, options are provided from repair services to installation or replacement of new parts, as well as an estimated cost. From there, we will be sending a certified technician who has vast knowledge in dealing with garage doors. That way you can be certain that your home will be safe at all times. Both Liftmaster Security and Genie Intellicode utilize what is known as rolling code technology. All this simply means that every time you open and close your door the code rolls over to a new code to make it extremely difficult for criminals to hack into your code. The Clicker is often considered to be the international remote and is compatible with most garage door openers. The Multi Code project is popular because it allows the user to open multiple garage doors easily. Our Garage Door Remote Repair Service in Fresno is geared towards ensuring our customers in the community always get the repairs they need quickly and efficiently. Our techs will roll out in their fully stocked trucks rapidly to provide the repair service you need. Our professionals have been highly trained on remotes, so that they can offer a variety of repair solutions. In most cases we can make repairs fast and have your garage door opening and closing smoothly. Occasionally, a remote may not be able to be repaired and the next step in the process is replacement. Our professionals are experts at garage door remote replacement as well. When that seldom situation arises and our professional techs cannot repair your remote, we will provide garage door remote replacement that will offer viable solutions. Our Fresno Garage Door Repair team will explain all of your options and then proceed as directed. They will replace your remote with the product you desire and all at a price you can afford.